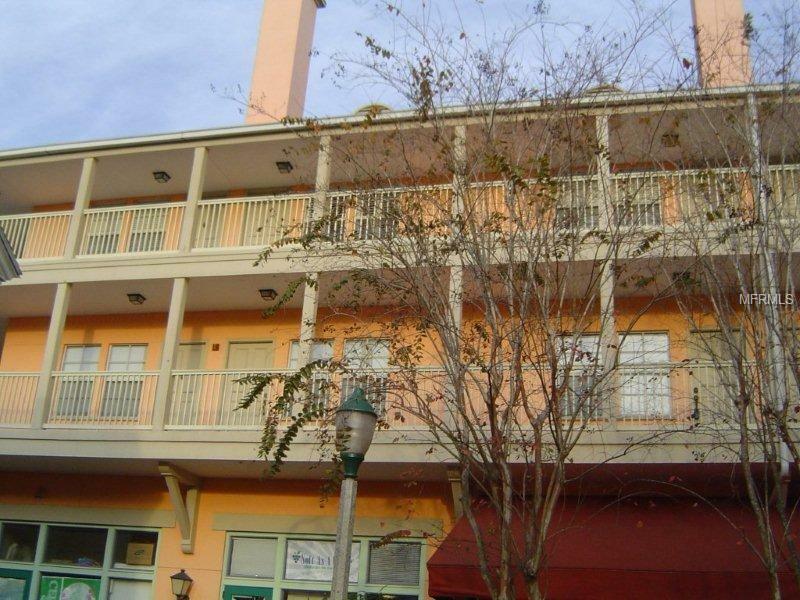 CASH BUYERS AND INVESTORS ONLY: TENANT-OCCUPIED ONE BEDROOM CONDO IN THE HEART OF DOWNTOWN CELEBRATION! Updates include LAMINATE FLOORS, STAINLESS KITCHEN APPLIANCES, TILE MASTER SHOWER -- NO CARPET! Lots of closet space includes a pantry, coat closet and closet the length of the master bedroom. This condo is cozy with a view of the Market Street shops, restaurants and activities. Enjoy everything that the "town that Disney built" has to offer: 5 neighborhood pools, tennis courts, playgrounds, an exercise facility, miles of walk trails and more. The location is ideal because you can walk to the bank, post office, shops, Starbucks, restaurants, post office, the lake and more! Take the elevator to the second floor, then you'll have to walk up one floor to the third floor (no neighbors above you and only one shared wall next door).